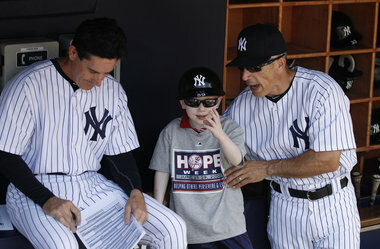 Ever since 2009, the Yankees have put on what they call HOPE Week. Hope. Helping Others Persevere and Excel. One week out of the summer, the Bronx Bombers spotlight individuals, families or organizations worthy of support and recognition. Each day during HOPE Week, honorees share their inspirational stories with the Yankee players, the fans and of course the media. They are then treated to a special day courtesy of the Yankees — almost becoming like full-on members of the team, participating in team activities, in addition to the Yankees’ outreach. The experience is complete with a ceremony at Yankee Stadium before the start of the game. The Yankees have yet to announce when HOPE Week will take place this season. Whenever HOPE Week happens, it impacts everyone. The interviews with the honorees and players alone are enough to tug at your heart strings. We all have problems. A bad day. A career not going in the upward direction you may want it to. A breakup with a significant other. Trifles with paying bills. Whatever it may be. Then you take a look at the folks involved with something like HOPE Week, and it puts everything into perspective. Take for example the first-ever HOPE Week honoree: a United States Army veteran who lost the use of his arms and legs to Lou Gehrig’s disease. Imagine how hard this hero has to battle every day. My experience in terms of putting everything into perspective came nine days ago. As part of my job, I covered the figure skating event of New York’s winter Special Olympics. That day, I was battling a lot of pain from an agonizing toothache. I had been toiling with a long feature story I was working on, and recently I’ve been coming to grips with the loss of someone I care about. It’s been challenging. And not so fun. Enough to get me feeling bad. Then I met a few of the athletes of the Special Olympics. Young men, women older than me. All with difficulties. I watched as some of them struggled to just get out onto the ice and perform. A few of them fell down, but when they did, they regained their vertical base, brushed off the slush and kept skating. I wound up interviewing a skater from Rochester, New York. I could tell she had a hard time getting through the interview. She seemed a little overwhelmed talking to a reporter, but within a few minutes she got the words out as articulately as she could. She never gave up. That’s what I was most impressed with. Whatever problems I have, I now know first-hand there are others with difficulties that surpass mine. Others who have to handle those difficulties in everyday life and in everything they do, yet they still find courage to do the things that make them happy, like figure skating. And even when they fall down doing what they love, they get back up and finish. I can only guess the Yankee players feel the same way during HOPE Week every year. They likely gain that same perspective. They hear stories and meet folks who make an 0-for seem quite inconsequential. As for me. The toothache? I went to the dentist. I’m no longer in pain. The feature? It got done. You can read it here. The loss of that person I care about? Eh. That remains to nag me day and night. But then I consider that figure skater who never gave up. How she competed then got through my interview with her, despite it clearly being an obstacle. If she can keep going, so can I. So can all of us. Frank William Abagnale, Jr. Does that name hold any meaning to you? Frank Jr. gives the obvious answer: because they have Mickey Mantle. No. It’s ’cause the other teams can’t stop staring at those damn pinstripes. Perhaps those vertical navy blue stripes are overlooked. Or, at least not thought about a whole lot. 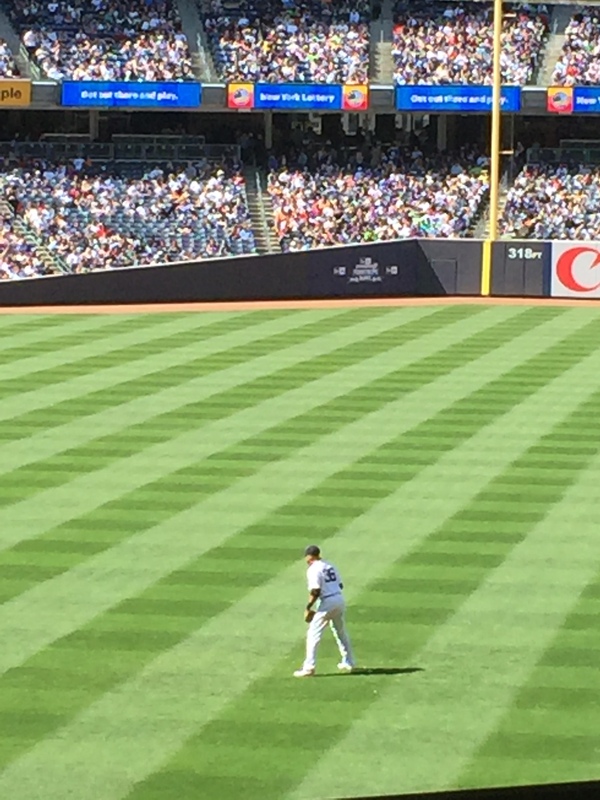 The pinstripes are an important part of the Yankee tradition, as the team has been wearing pinstriped uniforms dating back to as early as 1912. The Yankees’ road uniforms have been the same since 1918: plain grey with NEW YORK across the chest (although from 1927-30 “NEW YORK” was replaced with “YANKEES”). Consistency in every sense of the word. The Yanks have worn same home uniforms for roughly 104 years and the same road uniforms for 86 years. In an age of alternate home and road apparel and a time when teams change colors and logos seemingly every year, the Yankees have been the aberration. The one team that hasn’t conformed to change. Think about it. The Arizona Diamondbacks have only been in the league since 1998. They are going on only their 18th season in existence and have changed their uniform colors from teal, copper, purple and black to Sonoran sand (a shade of beige) and Sedona Red while maintaining black. Not to mention when the Diamondbacks first made their Major League Baseball debut, they had three different logos for their cap: one for home games, one for away games and an alternate. The Yankees, on the other hand, have had the same cap design — the solid navy blue hat with the interlocking “NY” — since 1922. Ninety-four years with the same cap. Again, consistency in terms of fashion in the truest sense. Save for spring training, that is. 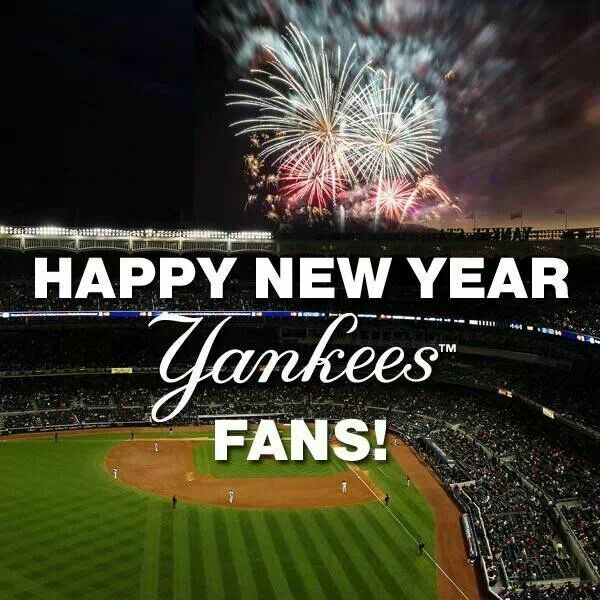 As most fans know, the Yankees only don the pinstripes for their spring opener — which, as a friendly reminder, spring training begins in a few short weeks. After their first exhibition, the Yankees wear navy blue road and away jerseys in spring training games. This year, the Yanks and other teams across MLB will get snazzy new unis for spring training. The Yankees’ new spring training jerseys come complete with designs inside the numbers on the back, as well as an “FL” inside a blue shield on the sleeve and on the side of the cap. Seeing as how the Yanks are in Florida’s Grapefruit League for the spring, perhaps the image of a fruit would have been more clever as far as a special character for the uniform. But hey. Maybe that’s why I blog and don’t design baseball unis. Notwithstanding, it’s refreshing to see a team in the modern age uphold its tradition, and prove the point that swapping colors and changing logos frequently are unnecessary practices. Sticking with something and going with it usually works out just fine. The gifts have been unwrapped. The New Year will be rung in Thursday night. 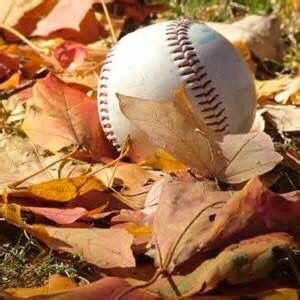 And that means in a few short weeks, Spring Training begins and before we know it baseball is back for a new season. Our beloved New York Yankees have been busy little beavers this offseason, gaining Starlin Castro from the Chicago Cubs and just this past week, Aroldis Chapman from the Cincinnati Reds. And let’s not forget Aaron Hicks, coming over from the Minnesota Twins. With that in mind, here are a few things this writer is particularly looking forward to in 2016. Barring a trade, the 7th, 8th and 9th innings are going to be really difficult for anyone opposing the Yankees this upcoming season. As if the tandem of “D ‘n A” — Dellin Betances and Andrew Miller — wasn’t deadly enough, the addition of Chapman makes the back end of the Yankee bullpen all the more lethal. All three flamethrowers recorded 100 or more strikeouts in 2015. If that’s any indication of what’s to come, the Yankees could potentially have the best bullpen in the majors. However, there is always a possibility Brian Cashman spins his magic and deals one of the three studs for a starting pitcher. In 2015, we got a glimpse of what type of damage the younger crowd of Yankees can do. But now, the baby Bombers will really get the opportunity to spread their wings. 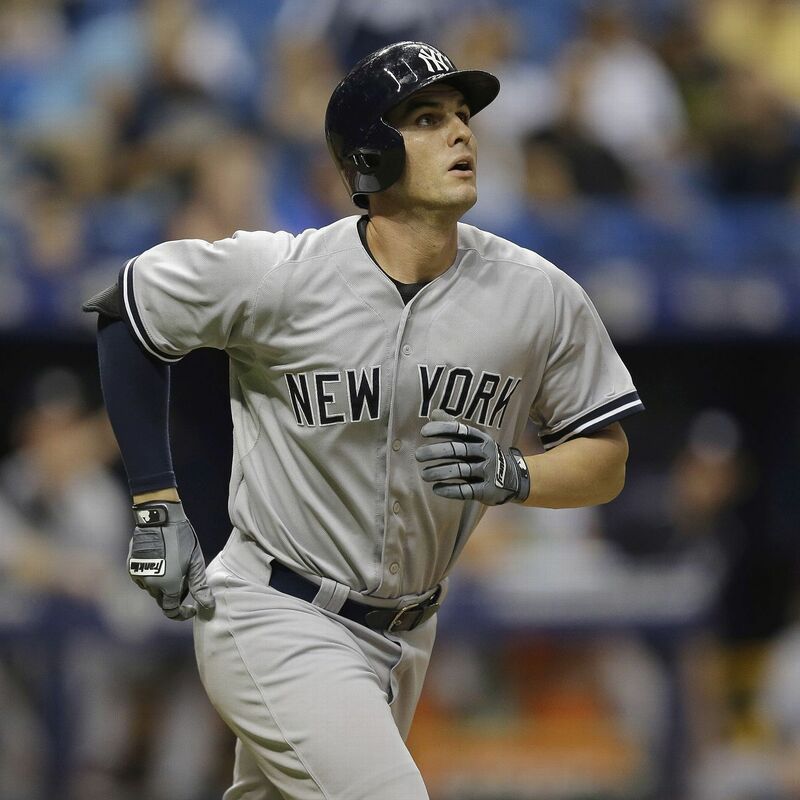 Case in point: Greg Bird, who lit the Bronx on fire over the last third (or so) of the summer. The 23-year-old slugged 11 home runs and drove in 31 runs in just 46 games played. Then you combine Bird’s power and finesse with the defense and scrappiness of Didi Gregorius and Castro in the middle infield. Throw in the sturdy pitching of Luis Severino, and you get the idea. Perhaps one of the most encouraging aspects of 2016, just in scrolling through the Yankees’ current 40-man roster: just 18 of those 40 players were born before the year 1990. Brace yourselves. The future is now. I marked my calendar when I got the news. July 22. 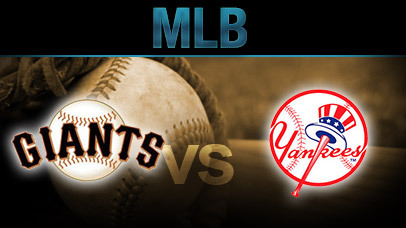 The Yankees welcome the San Francisco Giants for a three-game set. What’s so special about this series? Allow me to explain. The newspaper I work for, the Poughkeepsie Journal, extensively covers the Giants’ second baseman, Joe Panik. Panik has been hailed as a local hero, being a graduate of a high school within the Journal’s coverage area. Having already discussed it with my editor, I’ll have the chance to go to the stadium and interview Panik on assignment. That means I’ll get to sit in the press box at Yankee Stadium, which I’ve had dreams about in the past — then being annoyed when I woke up because it wasn’t real. This summer, it will be real. I only ask that Panik stay healthy for the entire year. He missed the last month or so of 2015 with a bad back. And if you’re wondering, yes. I will document my entire experience covering the Yankees-Giants game for the blog. It will be but one of many adventures 2016 will surely bring. A writer once penned that a catcher who can hit is a bonus. The Yankees have had that bonus this season, and it’s never been more evident than the last few games. Brian McCann has been swinging the bat well – a far cry from what some might consider a disappointing 2014. The 31-year-old backstop enjoyed a nice homecoming this past weekend, equaling and surpassing a few offensive numbers from last year in the process. In fact, he now leads all major league catchers in the home run and RBI categories. Over the last seven games, McCann is batting .320, slugging .600 and has produced a .438 on-base percentage. He’s collected eight hits over that span – two of which have left the yard – and has driven in eight runs. He’s shown a keen eye, too, drawing six walks. Three of those six walks were issued on Friday, when the Yanks rolled into Atlanta, McCann’s former stomping grounds. 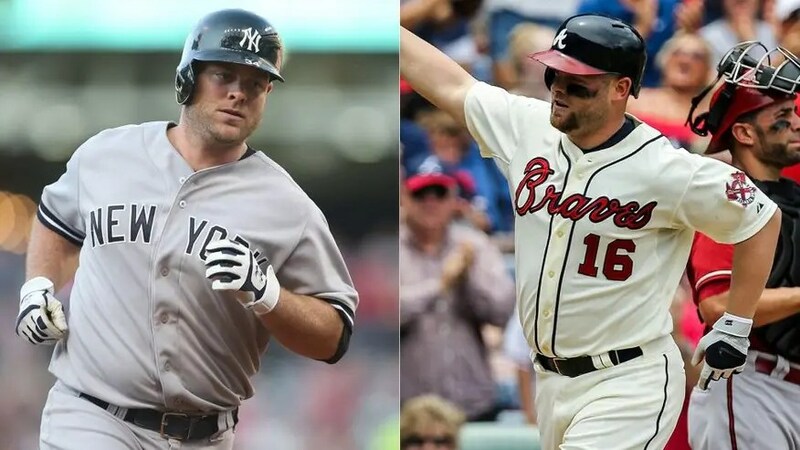 McCann, as we all know, started his career with the Braves in 2005 and stayed with them until the 2013-14 offseason, when the Bronx Bombers were waiting for him with open arms. And an open wallet, of course. McCann, a native of Athens, Georgia, elected to leave home and sign with the Yanks to the lucrative tune of $85 million over five years. This weekend, he earned his keep, showing the Braves what they’re missing along the way. On Friday, the catcher clubbed a three-run home run in the top of the eighth inning. A home run, by the way, for which he got boisterously cheered. For the lack of a better phrase, the Braves faithful just ate up McCann’s tater, appreciating the fact that he homered 179 times in a Braves uniform. That is, McCann smacked 176 homers for Atlanta in regular season play, and added three more round-trippers in the postseason as a Brave (he hit two home runs in the 2005 National League Division Series and one in the 2010 NLDS). McCann being cheered upon his return to Turner Field was almost reminiscent of Tino Martinez’s homecoming to the Bronx in 2003. Martinez, a key player in the Yankees’ dynasty of the late 1990s, left New York after 2001 for the St. Louis Cardinals. When the red birds visited the Yankees in June of 2003, Martinez smacked a home run off Andy Pettite – a shot that found a familiar landing spot in the short porch at the old stadium. 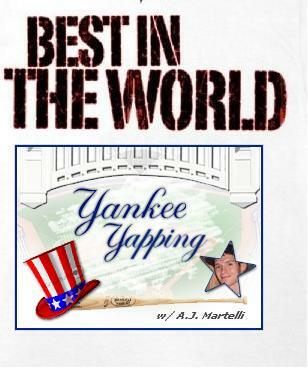 It generated a positive response from the Yankee fans. Much like McCann on Friday, the hometown audience stood up and graciously applauded its former player. McCann’s homecoming on Friday was finalized with four RBI and three runs scored, as the Yankees trounced the Braves, 15-4. On Saturday it got even sweeter, as he drove in one of the Yanks’ three runs. 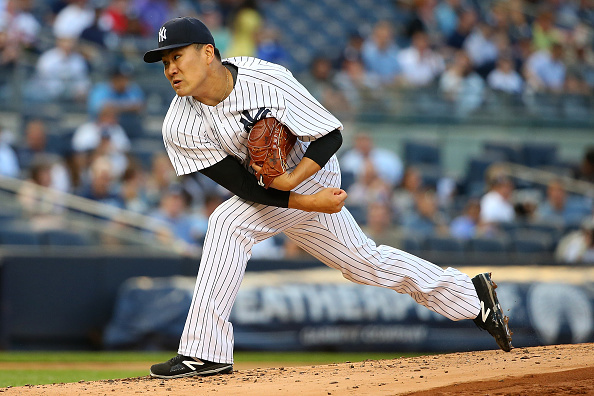 Three runs were all the Yankees needed, as they handed the Braves a 3-1 loss. And on Sunday, he put a nice bow on it. McCann collected a hit in the series finale, drove in two runs and scored two more. His offense was a small part of the collective effort, as the baseball score looked more like a football score when it was all said and done. 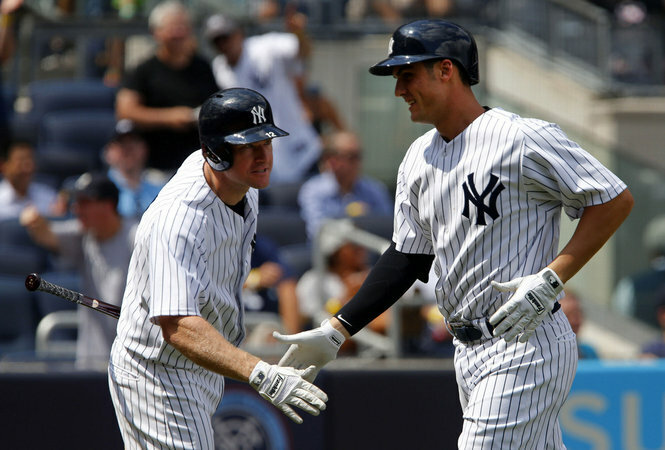 The Yankees wrapped up the series against the Braves by pulling out the broom for a sweep in the form of a 20-6 victory. This past weekend wasn’t just a spectacular hitting show with McCann in the starring role, but proof of improvement from a year ago. With his home run Friday, McCann matched his 2014 home run total. He entered the weekend with 75 RBI – the amount he finished with last year – and with seven over the past three games, he eclipsed his 2014 RBI total. Now, heading into Monday’s series opener with the Red Sox in Boston, McCann has 23 homers and 82 RBI, the most among all backstops in the bigs. McCann also has an opportunity to set career-highs in both homers and RBI this season. His season-high number in home runs? The most amount of runs he’s knocked in over the course of one season? With 33 games left on the schedule, there is plenty of opportunity for McCann, who has proven he’s a good hitter; who has proven he can handle himself in pinstripes. McCann, who has proven he is that bonus.